This exploding box was wanted as a birthday gift for someone who gets a new oven as a present. 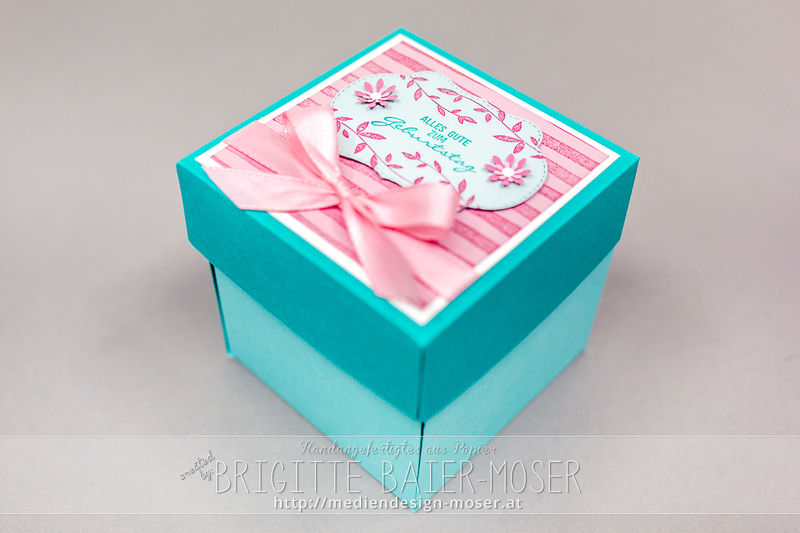 For the colors I used different shades of aquamarin/bermuda blue and as second color I choosed rosy pink shades. 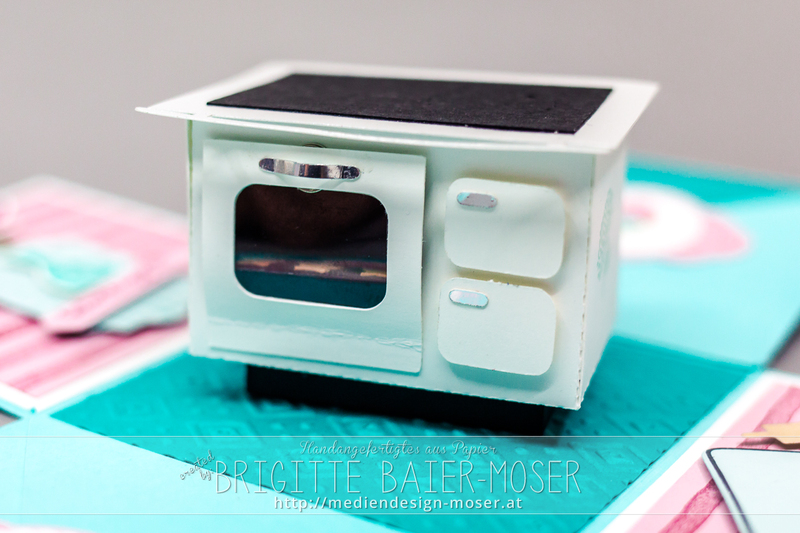 Let us take a look into the box: In the center of the box I put a vintage oven. I created it with my cutting machine Silhouette Cameo. (You find the cutting files here in my Online Shop). 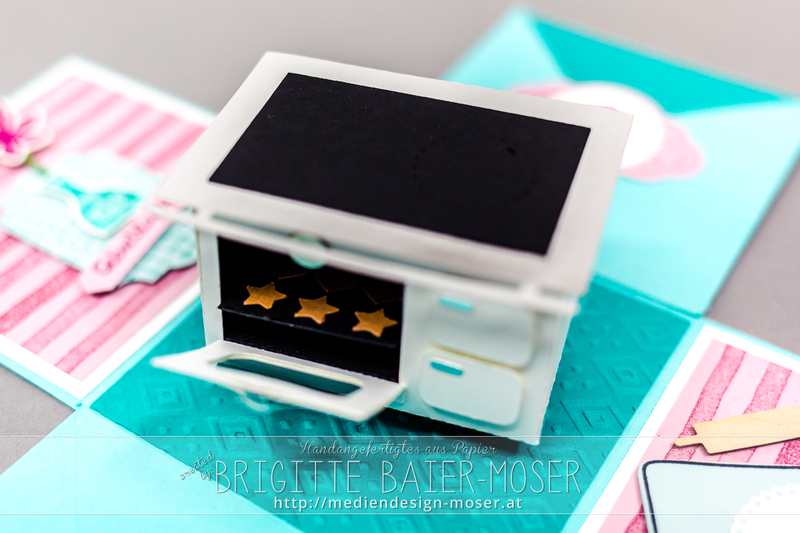 Let’s have a closer look to the oven: I used some mini-magnets at the ovens door, so it is possible to open and close it: One of the side walls I decorated with an apron, created with the apron builder framelits of Stampin’up! 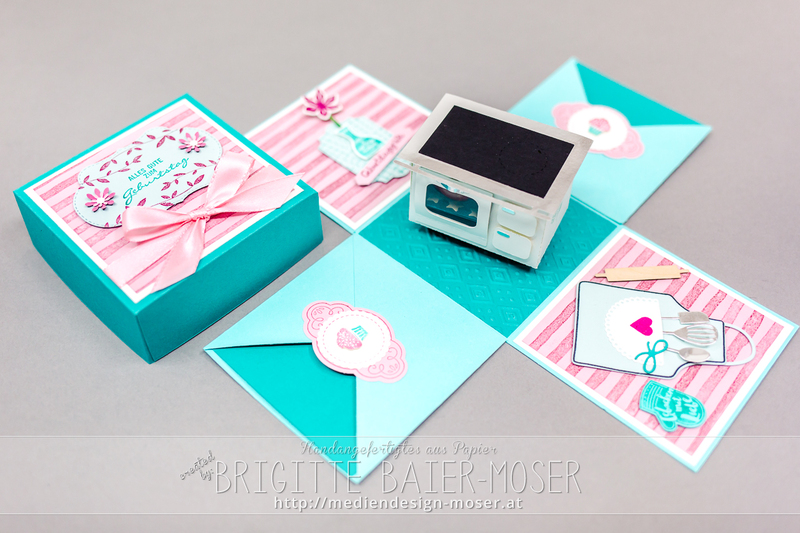 The second wall I decorated with a vase with a flower: I hope you like this birthday gift box and I wish you lots of fun if you are going to create a vintage oven yourself with my cutting files! Do you know someone who plays the piano? 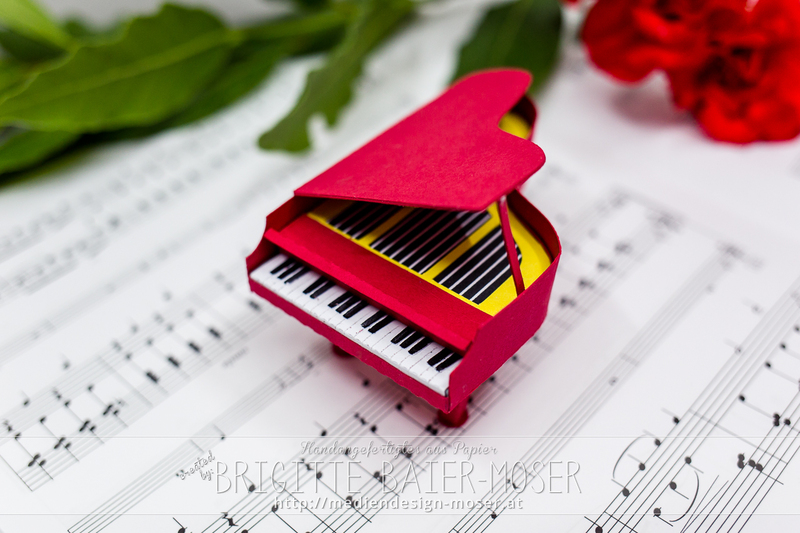 If so, then it would be a great idea to surprise him or her with a homemade piano made of paper! 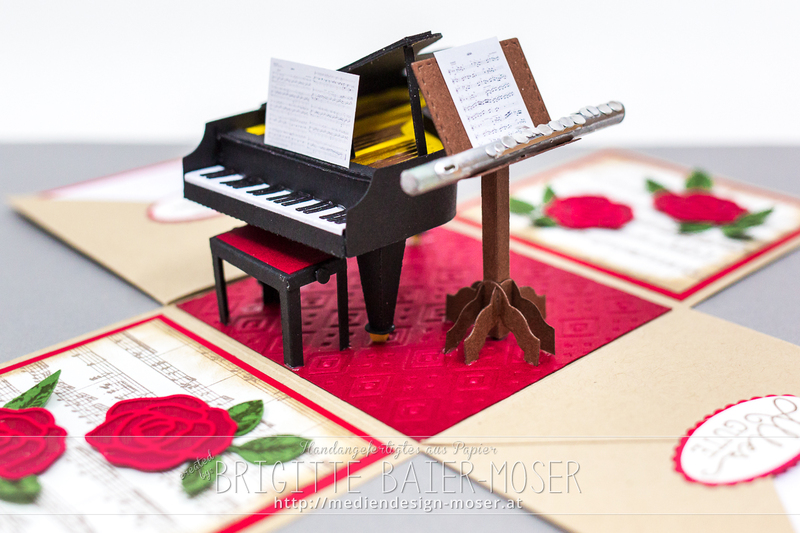 We have developed a cutting machine file that can be used to cut the piano parts in the video below. Such a piano can be of course cut in other colors. I made a black one for the following exploding box: But I also like the red version very much! I hope you enjoy working with my piano cutting files. 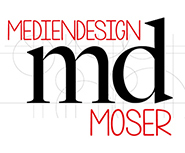 I hope you visit my blog again soon – bye for now! Have you ever been on the Oktoberfest in Munich? If so, then you will have noticed that the Bavarian Dirndl is a very popular clothing in this event. 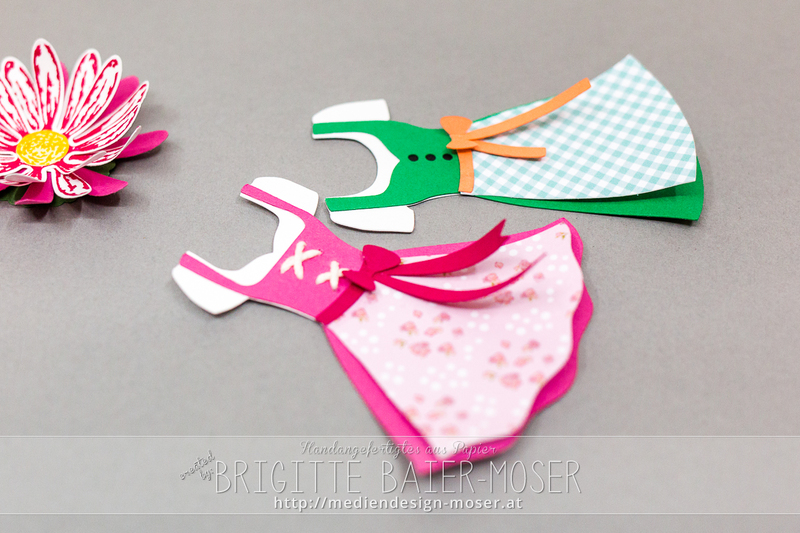 For the aprons of my Dirndls I used digital paper which I specially created for Bavarian themed paper crafting purposes. 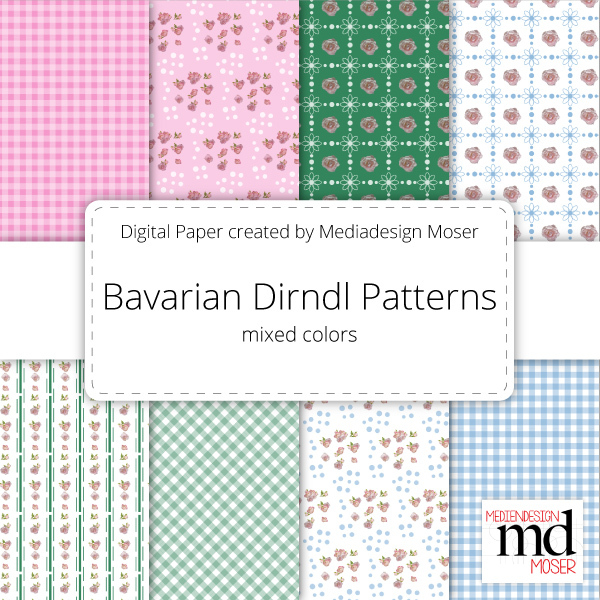 I hope you like my cutting machine Dirndls and/or my Bavarian Dirndl themed digital paper! 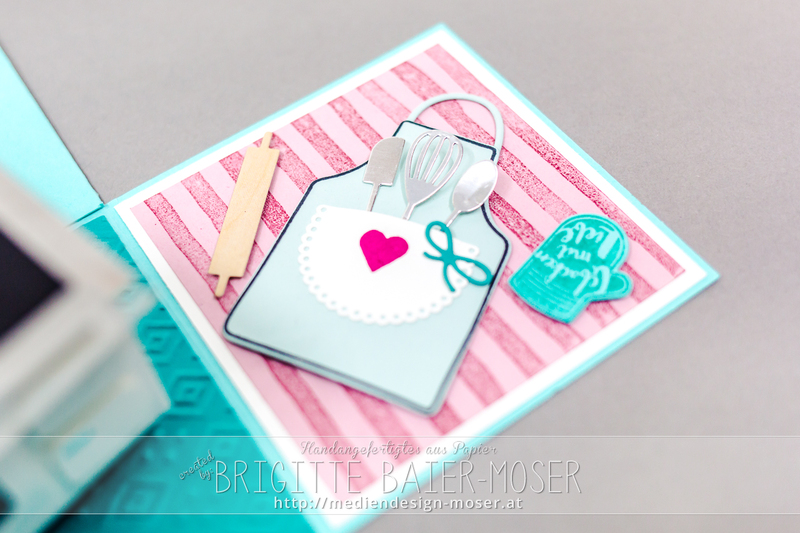 I wish you a great paper crafting week and look forward to see you next time in my blog!